This week's challenge from TGIF Challenges is the theme: Back To School! #TGIFC17. I was totally pumped to see this, as it motivated me to sit down and actually create the project that has been bouncing around in my head for my son's teacher! Now I won't be doing it the night before! I want to give my son's teacher a little care package of supplies. It's an JK/SK class and I'm positive supplies go quickly. So I thought I'd decorate up a wooden stamp case and fill it with some packages of pencils, pencil crayons, and (space permitting) maybe some else, like erasers. It would be Mrs. B's little stash! The nice thing about using a stampcase is that it has a protective sleeve, allowing you to slip your creation behind it, protecting it from wear and tear and not to mention it looks very professional. My pencils are created out of cardstock... No fancy dies or punches, just my good ol' paper trimmer, paper snips, craft knife and ruler. I used a piece of acetate for my spine and attached each of the pencils to it with sticky strip. Once they were all snug against each other, I glued the other ends to a strip of Crumb Cake cardstock, that I later cut the pencil tips from. So why the sheet of acetate? Well... I needed to put the bottom of the pencil crayons in! How cute are those!?! I think it just adds to the fun. 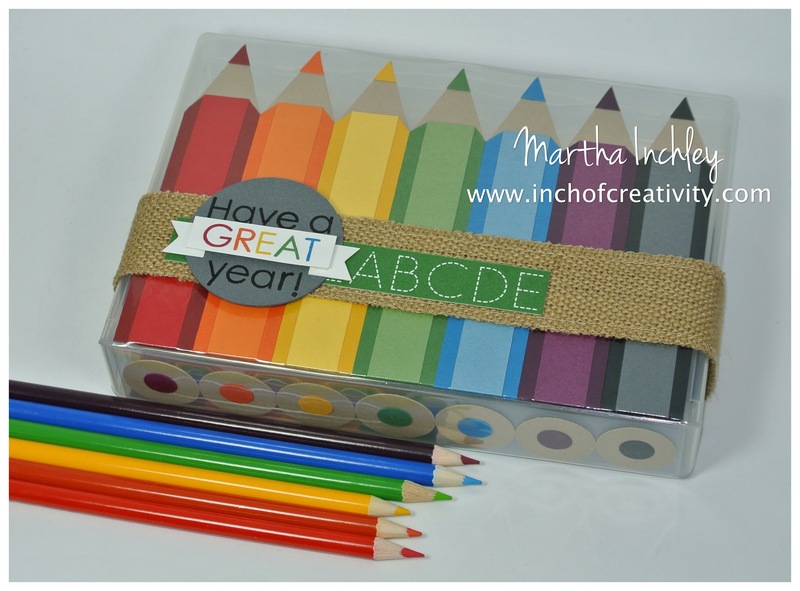 To finish up my gift box, I added a belly band of Burlap Ribbon with the greeting: "Have a GREAT year!" It slides on and off, allowing it to be either kept or tossed. Have a great day and as always, Happy Creating! This is adorable! I wish I had small children or grandchildren to make this for their teachers. LOVE IT! what an awesome idea! 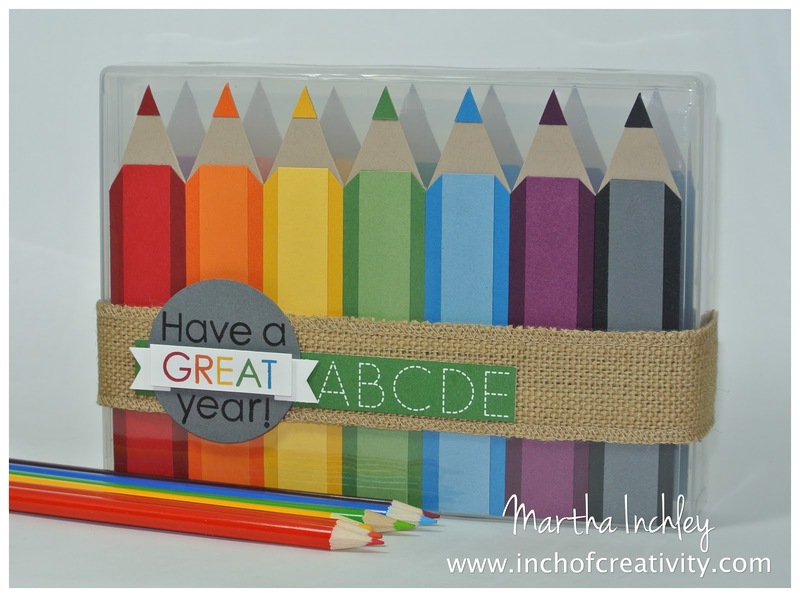 teacher gifts are a fave of mine to create! This looks printed at first--but your choice of colors look THAT perfect! :) great idea to repurpose those cases! Fantastic. Looks amazing but when you read your explanation quite simple to make. Congrats on winning the TGIF "Back to school" challenge, you deserve it. Just darling! What an amazing project! Thanks for sharing! !